"When I read Born Beautiful, I thought ' finally, a beauty book that addresses the unique needs of black teens.' I highly recommend this book to all parents for their beautiful daughters." Born Beautiful is the best! It's detailed and easy to follow! It gives great examples and real-life scenarios! Whether you are a "natural-look-with-lip-gloss girl" or a "high-profile prima donna," this book is for you! If you want to know all about your skin type and how to care for it, which makeup colors are best for your skin tone and how to apply them, and how to wear and care for your hair, then you've got to read it! And wait until you check out the "Teen Tips" written by girls like you and the "Special Stuff" that will give you a winning edge! There is a great color chart to help you select your best cosmetic and fashion colors, and we put you to the test with Quizzes and "Dos and Don'ts." Alfred Fornay is one of America's foremost authorities on skincare and makeup. 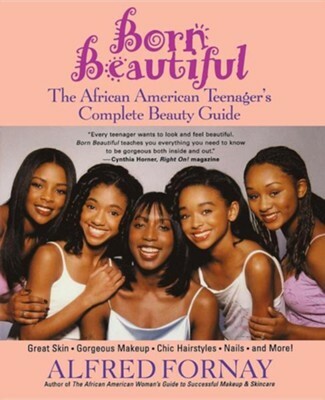 I'm the author/artist and I want to review Born Beautiful: The African American Teenager's Complete Beauty Guide.